Warwick Books is the town’s only independent bookshop, established in 2004. We love books and we aim to offer the highest quality of service to our customers. Whether you visit our first floor to curl up on our cosy sofa, enjoy a complimentary tea or coffee whilst browsing our poetry, sport and health books or explore the ground floor for fiction, travel, history whilst the kids enjoy our extensive children’s section, we look forward to your visit. We are able to order any British book in print and accept orders not only in the shop but by telephone, email, Twitter or Facebook. You can click 'order online' above and place your order via this site. We also stock a broad range of greetings cards. We are always on hand to recommend a title and our hand written reviews are a favourite of our regulars. We would be delighted to see you at one of our popular author events. Let us keep you updated with details of forthcoming events, reviews and offers. Sign up with your email address or resubscribe following GDPR! The introduction of the General Data Protection Regulation means we need you to confirm you’re still happy for Warwick Books to keep emailing you. By agreeing to this, you will receive regular updates on exciting events, special offers and beautiful range of shop products. We promise not to send you too many emails, after all we would rather you were reading books! Thank you for subscribing! We will be in touch very soon. We are the proud and enthusiastic new owners of Warwick Books, Mog and Pauline Harris, taking over this well established town bookshop in April 2015. Mog is Warwick born and bred, and having trained and worked in Theatre Design spent some time working in Italy and France for a youth charity where she met Pauline. Pauline was born in Metz in North-East France, She is fluent in English, French and Italian, and also like dabbling in Polish and Russian. Until very recently Pauline was the General Secretary of an International Youth Charity and is embracing her new life in the UK and is enjoying discovering Warwick’s hidden treasures. We are both great readers and were delighted to get the opportunity to return to Warwick to take over the bookshop. Do pop in and introduce yourselves, let us know what we can do to develop the shop or our events and we will be really grateful for your continued support. 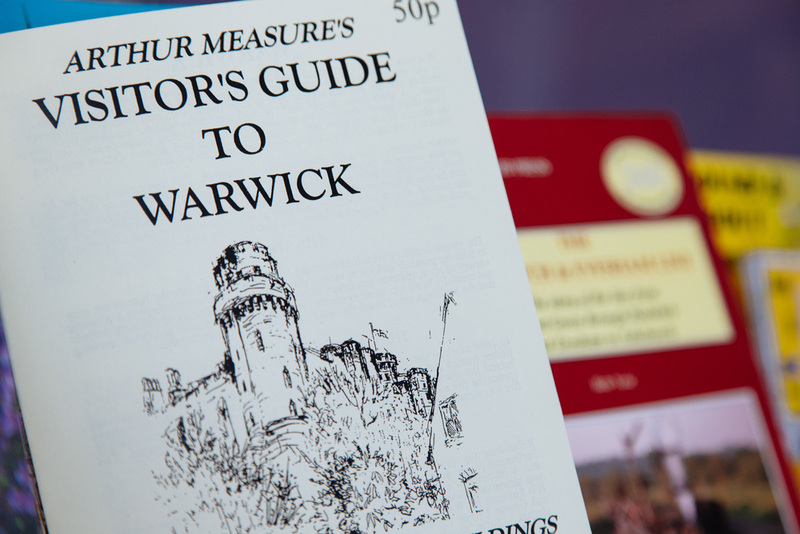 Warwick's only independent bookshop is located in a former greengrocers shop on the Market Place.